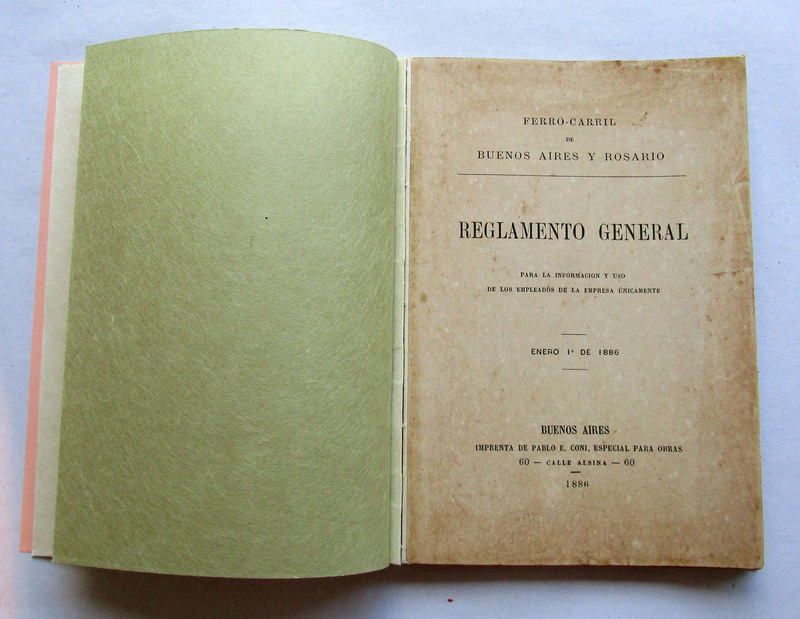 Binding structure: Paper cover, original structure. Original sewing was cut in two parts. 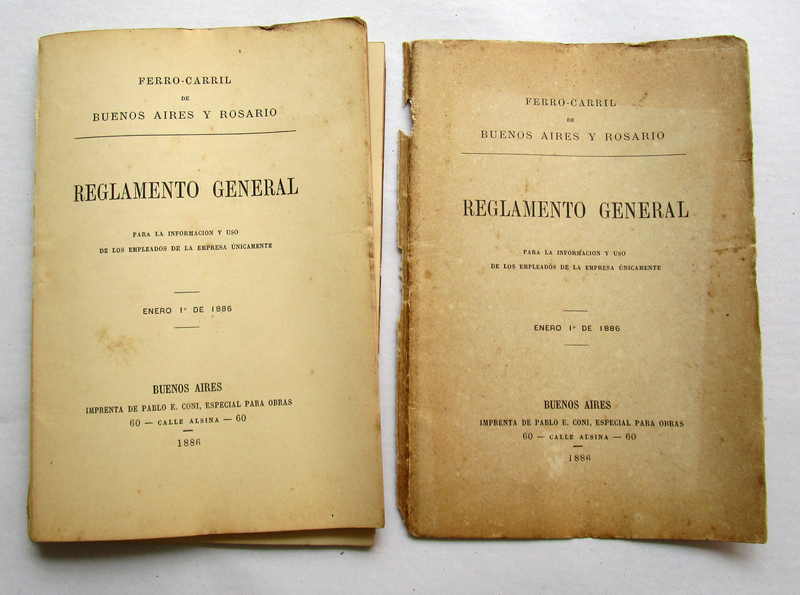 Original cover was cut apart. Old sewing and old adhesive cleaned up. I had used reversible unglets for the sewing structure. 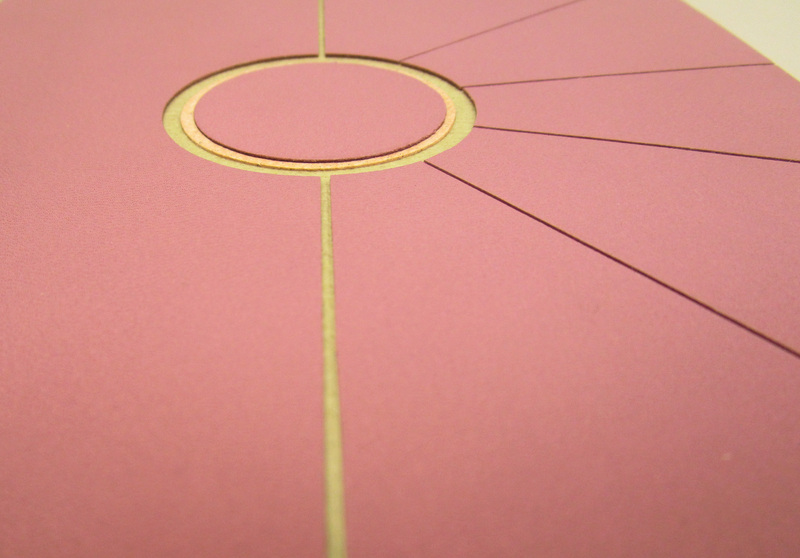 Spine protected with acid free Japanese paper. Leather endbands has been built outside the book block. 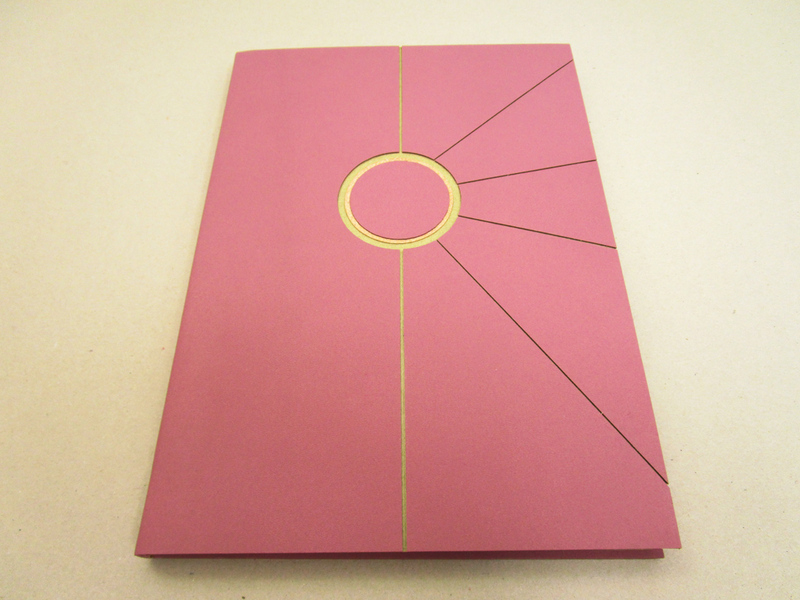 The end papers had been done with natural and light green color Japanese paper. A Japanese paper hinge also part of the light green fly leaf, helps to connect the book block to the cover. 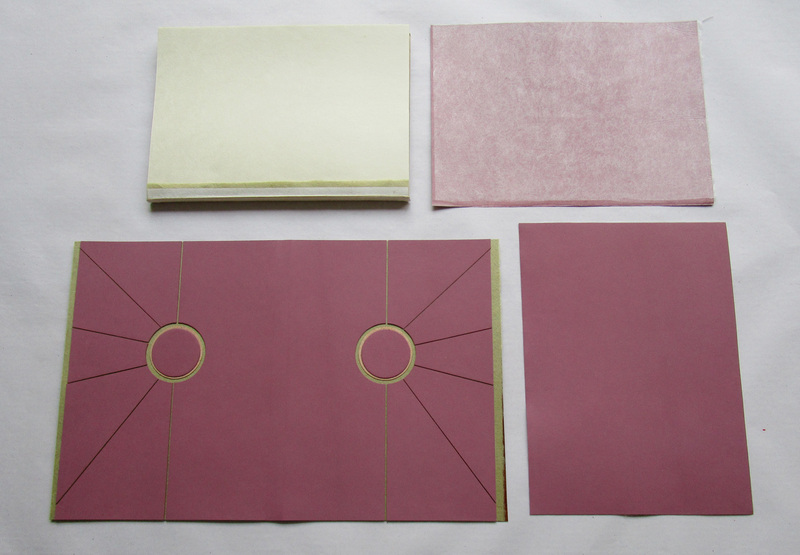 The flexible leather cover was built with one piece of light violet goatskin which has been lined with Japanese paper, folded and divided into three sections. 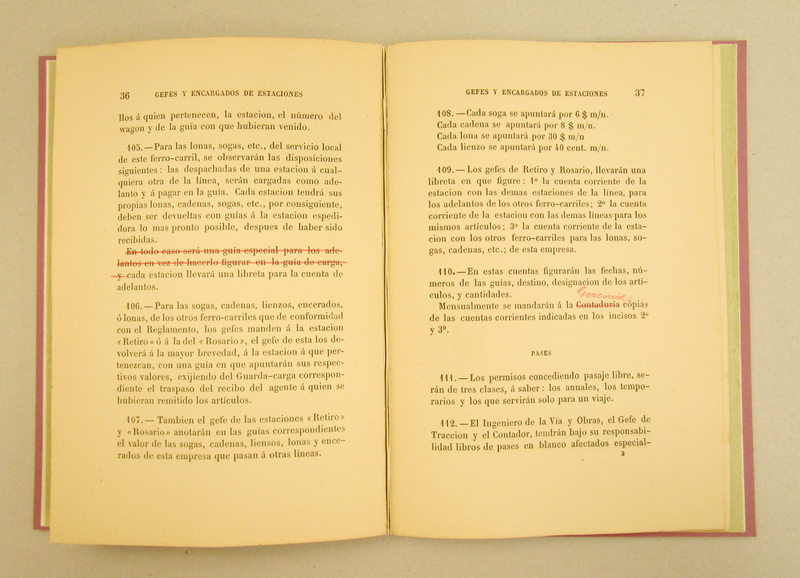 The central section became the spine of the cover, which is linked to the book block by a hollow . hollow had been constructed with Japanese paper. 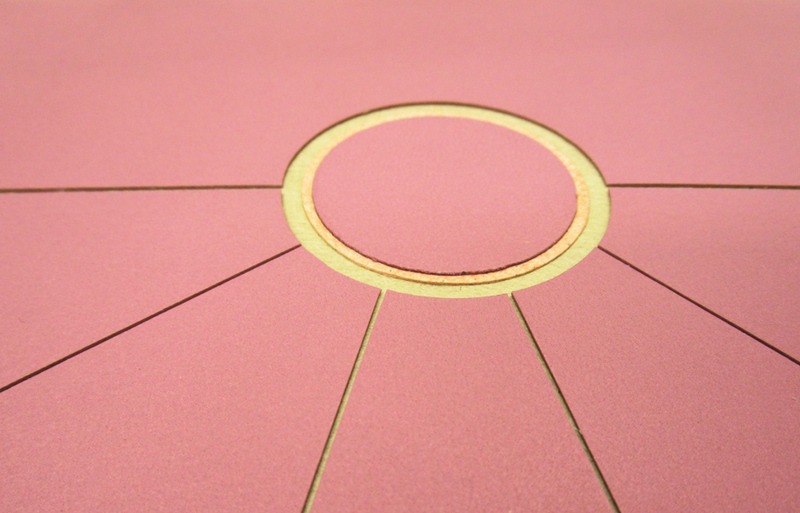 The outer sections of this light violet leather became the cover which had been glued with two other pieces of leather to bring thickness and work also a a “doublure”.